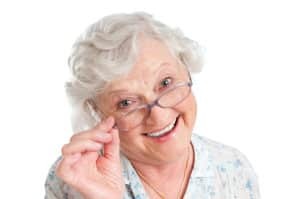 Though your teeth are meant to endure, they may not last your entire lifetime, and your chances of developing a destructive dental disease can increase as you grow older. If infection, gum disease, accidental trauma, or excessive tooth wear afflict your smile, then you have a number of options specific to your needs that can restore your smile to its former glory. Whether you’ve never had a dental issue and you’d like to keep it that way, or if you currently have gum disease and are trying to keep it under control, proper oral health care is vital to your mouth’s continued good health. Enamel protects the visible part of your tooth, called the crown, but it does not extend to cover your tooth’s root below the gum line. Your periodontal (gum) tissue acts as a seal that shields your teeth roots from bacterial plaque and food debris. This seal can lose its tight grip and begin to separate from your teeth, creating pockets where bacteria can gather and grow. Gum recession significantly increases your risk of developing gum disease, which can lead to tooth loss as it destroys your smile’s foundation of gum tissue and jawbone. Gum disease is the leading cause of adult tooth loss, and as your risks of the condition increase, so do your risks of losing one or more teeth. Though tooth loss is common, many older patients are able to enjoy full, healthy, beautiful smiles longer through advanced treatment and improved hygiene regimens. To prevent tooth loss, or to mitigate the effects of tooth loss (such as jawbone degradation), we may recommend replacing your lost teeth with one or more dental implants, which reestablish the root-system to better support your replacement teeth. To learn how to keep your teeth and gums healthy for life, subscribe to this blog, and visit Dr. Kania for a consultation. As a board-certified periodontist, Dr. Ann M. Kania is specially qualified to diagnose and treat issues concerning periodontal tissue and the supportive structures of a patient’s smile, as well as place dental implants to restore teeth lost to dental disease or trauma. Dr. Kania also offers the Pinhole® Surgical Technique (PST) for minimally-invasive, scalpel-free gum grafting. To seek Dr. Kania’s expertise, contact her office today at (760) 642-0711.